Central Bank of Trinidad and Tobago has signed for the Simcorp Dimension investment management platform, supplied by specialist wealthtech vendor Simcorp. The central bank will implement Simcorp Dimension to manage the investment operation of the country’s $8.4 billion foreign exchange reserves, front-to-back office. This is Simcorp’s first deal in Trinidad and Tobago, FinTech Futures understands. According to the bank, a standardised solution that could support the entire investment lifecycle with little need for customisation was “a critical criteria” of the selection process. “Simcorp Dimension stood out in our evaluation for the level of automation provided for straight-through processing [STP], across the front, middle and back offices,” the bank says. complete and fully traceable audit trail for all reporting requirements. 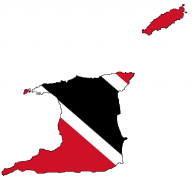 Central Bank of Trinidad and Tobago is a long-standing user of the Wallstreet Suite treasury and capital management (TCM) from Wall Street Systems.